Another year has come and gone and 2019 promises a fresh new start as well as new challenges for everyone. That said, art itself is slowly transforming over the years and we could see that the events last year are going to heavily impact art this year. Whether it’s about painting, museums, politics, and technology, there will be a huge change this year that can impact the world of art in some way. Due to the political division in the country, Smithsonian-funded museums in the US are closing. US President Donald Trump has not signed any budget plans the Democrats have put forth due to their disagreement on how much is going to be allocated to the border wall Trump promised his voters in 2016. This led to a government shutdown that led to the defunding of Smithsonian museums. With no fund to pay the employees and run the museum, the museums have to shut down too. Zoos are also affected, however, they can still keep feeding the animals inside. The shutdown began last December 22nd, midnight, and as of this writing, has been going on since. Across the sea, Europe’s museums are continuing all efforts to return all foreign artefacts after continuous talks about how Europe should handle their colonial heritage. Most of the people on the receiving end are happy about the general stance. At least one mayor from Easter Island is opposed to taking back any artefacts, due to having no place or budget to maintain what artefacts they currently have. As technology gets better, the means to create art also gets better. The first AI made art to have sold in Christie’s last October for $500,000 is going to be the precursor for more computer-made art. Researchers and artist will continue to experiment with newer technologies. As a nod to this tighter art and technology relationship that has been building since the turn of the millennium, the Museum of Modern Art will launch an exhibit titled “New Order: Art and Technology in the Twenty-First Century” in March of this year. The goal of the exhibit is to show how modern artists have experimented and used new tools and technologies, such as drawing pads and 3D printers, into creating art. A month after, the Whitney Museum of American Art is going to end their exhibit titled, “Programmed: Rules, Codes, and Choreographies in Art, 1965–2018”. The exhibit features how the science of computer programming has led to the advancement of art. It will also feature an art piece utilizing augmented reality. 2018 has its share of art-related controversies and the trend will probably linger a little longer into 2019, even without mentioning the effects of the restitution and the talks about art in relation to anti-money laundering laws. The European Union passed an article last year that people say may create precedence for memes to be banned off the Internet, for example. The effects are still being monitored by everyone up till this year, but so far, no meme has been banned yet. Banksy made waves last year after shredding his painting, that’s getting its first exhibit this year. Unofficial Banksy shows also happened towards the end of last year, so there might be a chance they’ll continue on this year as his fans spread salt about how people are profiting from the works of the British street artist, without his say so. And finally, comic book icon Stan Lee has finally passed away this year, and fans mourned for the passing of the Marvel creator, while some killjoys used the opportunity to criticize the person for not being progressive enough during his life. For now, at least, no other comic book industry persona is in immediate danger of dying (and getting stabbed at the back). 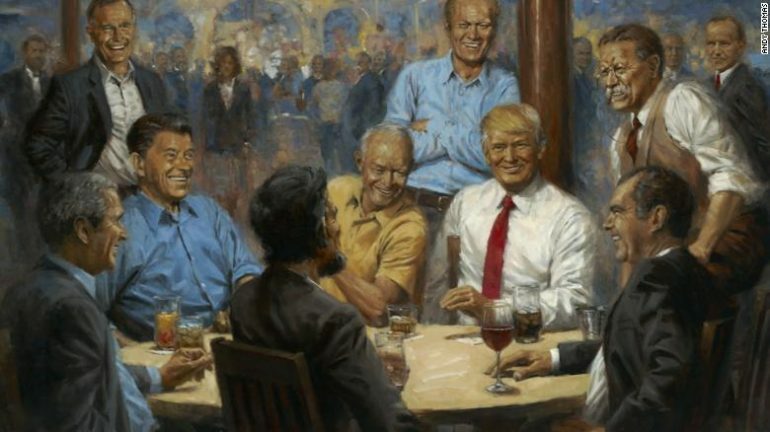 1st Image: Trump’s Republican Club painting with him in it, via ABS-CBN. 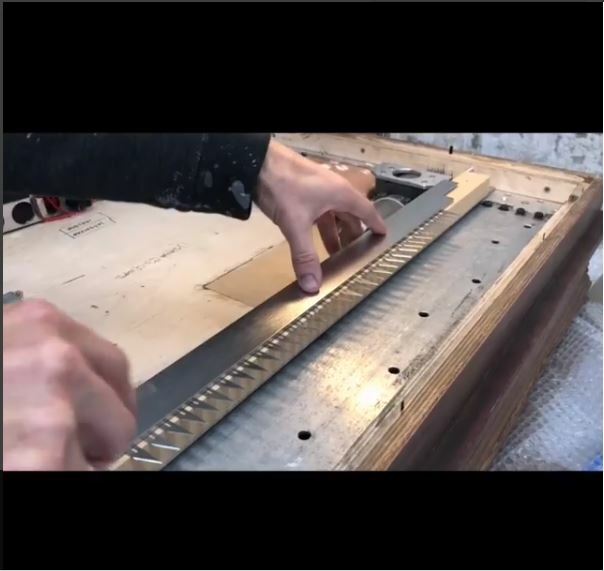 2nd Image: Banksy assembling the frame and shredder, via his Instagram.